What does it feel like to be mentored by a national champion who is ranked among the best in the world? 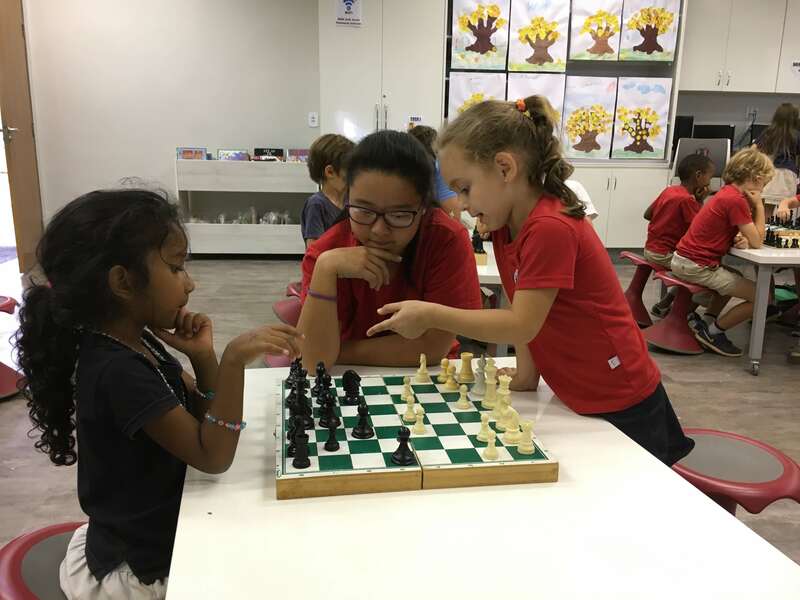 To find out, you are invited to visit the American School of Brasilia’s afterschool chess club. Meilin Hoshino (Grade 6) and her sister Karen (Grade 10) are considered to be elite chess players on the world stage, with Karen recently recognized as the top female chess player in Japan. 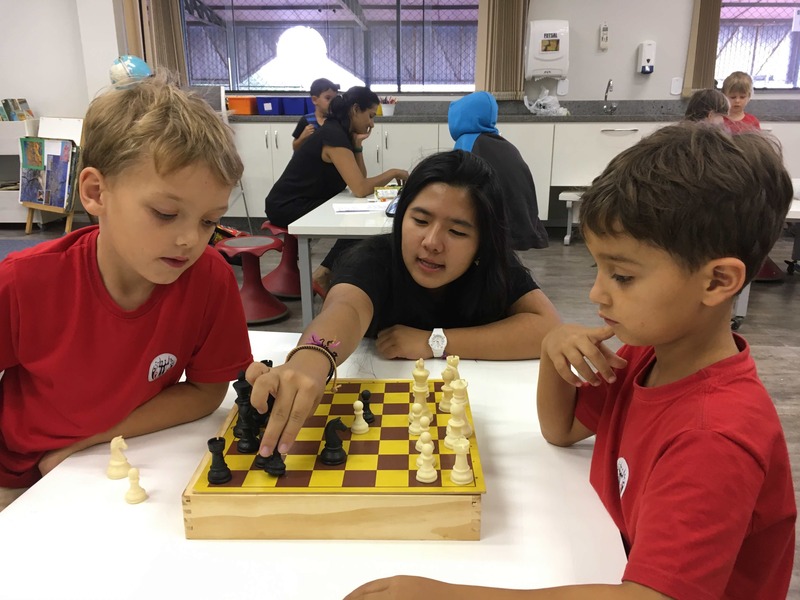 It is the juxtaposition of a student competing in the 14-day World Chess Olympiad in Azerbaijan and the same student offering a chess activity for lower school students that highlights an international school’s sense of community, the wide range of learning opportunities, and the value of diversity. During my afternoon walk around campus today, I observed several other instances of students learning from other students. Some of these examples included cooking classes, guitar lessons, art projects, talent show preparations, Jiu Jitsu practice, reading program, robotics, and an after school running club. These are some of the many ways in which a school offering a pre-kindergarten to grade 12 educational program benefits from the wide range of student ages. The younger students have the opportunity to learn from older students while older students have the opportunity (and challenge!) to serve as positive role models and mentors while also learning more about their own abilities and strengths. It is this building of community through mentoring, coaching, and collaboration that personifies the American School of Brasilia’s motto of “Learners Inspiring Learners.” The basis of all schools should be that of a community of learners and, for this reason, we are committed to further developing peer mentoring programs such that all students are benefiting from “students helping students” opportunities. To that end, I would like to thank Meilin and Karen for sharing their impressive talents and experiences with other students and for exemplifying the ideals associated with our school’s mission in which learners are inspiring learners to be inquisitive in life, principled in character, and bold in vision. This entry was posted in Barry Déquanne and tagged Activities, Community, Learners. Bookmark the permalink. Barry, I love the energy and vibrancy of the community of learners you describe. This is the source where educators, like myself, get their energy and vision to continue to guide and inspire learners to construct their own learning. Thanks for sharing!